He studied Literature and Philosophy at La Sapienza University in Rome. During his University years he joined the company of Luigi De Filippo and plays in the shows Non è vero ma ci credo, Quaranta ma non lo dimostra and La lettera di mamma. He has staged a lot of shows, including: Il viaggio di Alice by Evelina Santangelo for the Festival Palermo di Scena, Solitudine by Beppe Fenoglio, played by Beppe Rosso at the Teatro Sociale of Alba, La 12ª Notte by William Shakespeare at Cortile Platamone in Catania, Terra dei miracoli his text was staged at the Teatro Franco Parenti in Milan and Rosso Malpelo, an dramatization of Verga’s work at Teatro Arsenale in Milan. From 2005 to 2008 he was artistic director of the company Leart’-Teatro with which he realized his PROGETTO RI-SCRITTURE staging Romeo & Giulietta / NATI SOTTO CONTRARIA STELLA based on Shakespeare, Casa di bambola / L’ALTRA NORA based on Ibsen and Gabbiano / IL VOLO based on Chekov. In June 2007 the National Association of Theatre Critics assigns CRITICS AWARD 2007 as Best Director. Then he directed and designed the sets for Aria Precaria, the last show of comedians Ale & Franz, was performed at Teatro Smeraldo in Milan, Tutto su mia madre of Samuel Adamson, dased on Pedro Almodovar’s film, producted by Teatro due of Parma and Teatro Stabile del Veneto, Moliére a sua insaputa his drama from Moliére with Paolo Hendel, Due di noi of Michael Frayn with Lunetta Savino and Emilio Solfrizzi, Troiane of Euripide, Commedia degli errori of Shakespeare with Peppe Barra at Estate Teatrale Veronese. In November 2009 he made his debut as oper director: he staged at the Teatro Ponchielli in Cremona a diptych composed of La voix humaine by Cocteau/Poulenc and I Pagliacci by Leoncavallo, produced by Opera Circuito Lombardo. In sommer 2012 he has staged: La Bohéme in Macerata, La fuga in maschera a co-production of Festival Pergolesi- Spontini of Jesi and Teatro San Carlo in Napoli, Nabucco in Cagliari and Sassari. In 2013 he debut with Enron of Lucy Prebble, producted by Teatro Due of Parma and Balletto Civile and Forse tornerai dall’estero a text of Andrea Montali, produced by Teatro Stabile di Bolzano. 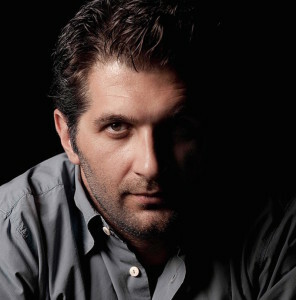 In the same year he won The Premio Abbiati as Best Stage Director of the season 2012. From some years he engaged in research aimed to explore the various possibilities of expression of the four main registers of interpretation: TRAGICO, DRAMMATICO, COMMEDIA and COMICITÀ. Among his recent and future engagements: I Masnadiari at Verdi Festival in Parma, L’Africaine at La Fenice, Nabucco and Il Campiello at Teatro Comunale in Florence and Trieste Rigoletto in Rome, La Bohème in Macerata and Brescia, Le Braci in Florence, Un Ballo in maschera in Malmo and Rome and Rosmunda in Bergamo.